Mike Roe was in the investment services business since 1982. His practice centered on individual retirement plans for employees of public schools, hospitals and 501c3 organizations. Mike graduated from the University of St. Thomas in 1965 where he received a Bachelors of Arts Degree in Psychology / Business Administration and in 1966 earned a Masters of Arts in Teaching. 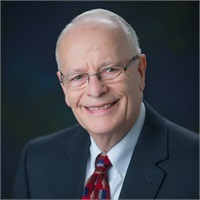 Mike went on to teach Social Studies in the White Bear Lake Area School District from 1966 to 2000. Mike retired in 2018 and now enjoys spending time with his wife, Karen, and their two children and four grandchildren.